If you are in search of an honest, reliable, fast, & afforably priced plumber in Mesquite, Tx, you have come to the right place! Here at Flow Plumbing we offer stellar plumbing service at honest prices throughout the DFW. In business since 1989, we have nearly three decades of experience in both residential and commercial plumbing service. Our unparalleled committment to customer satisfaction is one of the key items that sets us apart from other companies in the Metroplex. Our team of skilled plumbing technicians have the experience and know-how to quickly and efficiently resolve any plumbing issue you might be experiencing. In our 29 years of plumbing service our team really has seen it all! If you are looking for excellent quality of service, look no further than our team here at Flow Plumbing. We set high standards for our team and only staff the best Mesquite plumbers. Every plumber we have on staff is licensed, has been background checked, drug-screened, and receives ongoing education to ensure they are up-to-date on the latest in plumbing technology. Recieve service from a skilled, customer service oriented, and trustworthty plumber in Mesquite by calling Flow Plumbing today at 214-388-8838! One of the things that is most important to us here at Flow Plumbing, is keeping our business interests aligned with the best interest of our customer. We truly strive to put the customer first every single day. It is important to us that our business is operated in a way that benefits our customers, both with the quality of the repairs they receive, as well as the quality of their interactions with our plumbers! We have the experience necessary to offer a wide varity of plumbing services including but not limited to, toilet installation, clogged drain cleaning, water heater repair, water heater installation, water leak detection, as well as full host bathroom and kitchen plumbing services. To schedule fast and affordable plumbing service in Mesquite Texas give us a call today at 214-388-8838! In each case, the plumbers arrived on time, took great care not to mess up the house and did excellent work. I highly recommend them! I am extremely pleased with the work this company provided! Very open on conversation and what needed to be done. Overall they did a great job! If you are in need of plumbing service do not hesitate to give us a call. We’re Fast, Affordable and Available To Assist You! Enter your info below and we'll get back to you to schedule your service. At Flow Plumbing, we take great pride in the vast array of plumbing services that we are able to offer our customers. From simple and easy repairs to new installations, our expert team of plumbers have the experience necessary to get the job done! From drain cleaning, to leak detection, to gas line installation, we can do it all! When the time comes for you to seek out and hire a professional plumbing company in Mesquite, TX, we hope you choose to Go With The Flow! From the moment we arrive at your home you will experience the Flow Plumbing difference. We communicate in plain language, and provide our customers with a range of options that fit all needs and budgets. We provide a handwritten estimate with the cost for service upfront. That means there are never surprises at the end of service like with some other companies out there. Flow Plumbing has been located in and serving the City of Mesquite for over 15 years. We take pride in our service and our city. Contact us today to see why Flow Plumbing is Mesquite’s most trusted plumbing company! When your plumbing fails, you want a plumber from Flow Plumbing to take care of the problem. We’ve been in business since 1989, and our professionals are highly experienced, efficient and skilled. We’ll arrive with a full inventory of the most needed parts. We’ll discuss your issues, perform a full inspection and provide a diagnosis of the problem. Our team provides service to both residential and commercial clients in the Dallas Metroplex Area. 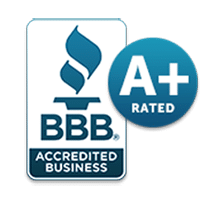 As a BBB-accredited company that values customer satisfaction, we’ll work hard to fix your plumbing issue as quickly as possible. We never cut any corners because we want our results to last, and we use top-notch equipment in order to locate the source of the problem. Flow Plumbing can handle small and large plumbing issues to your satisfaction. Call us today to schedule an appointment with the the most trusted plumber in Mesquite Texas! Foul Odor In Your Basement? Have You Checked Your Sump Pump?